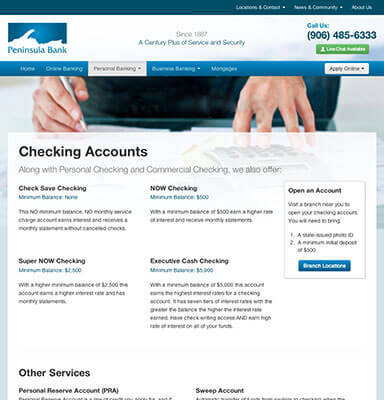 We provide the most secure, user-friendly platform for credit union websites. We are the credit union industry experts in security, compliance, user-friendly design, and credit union internet marketing. We developed the industry's best data security platform with state-of-the-art security that exceeds FDIC, NCUA, and FFIEC guidelines, coupled with a highly knowledgeable team that stays involved after launch to keep your site secured against emerging threats. While we may put security first, we understand what's at the forefront of your mind: great design. Our creative team will design a website custom suited to your organization that ranks #1 in usability, compliance, and accessibility. We will work with your marketing department to create a modern, responsive design that works well across modern browsers and mobile devices. Best of all, unlike a shared platform, you fully own your website when we're done. If a secure, well designed website is a wonderful thing, a website that you control is even "wonderful-er." Our CMS enables everyone from a novice to an HTML guru to easily create and manage content. We provide comprehensive training and support that makes managing your website easy. Our CMS has the most comprehensive security and compliance features of any available, including change audit logging and edit > approve > publish workflow to make sure you are indeed in control. Lastly, every bank needs to have an SEO strategy. Our platform fully supports all SEO best practices and can help to dramatically improve search rankings when implemented properly. 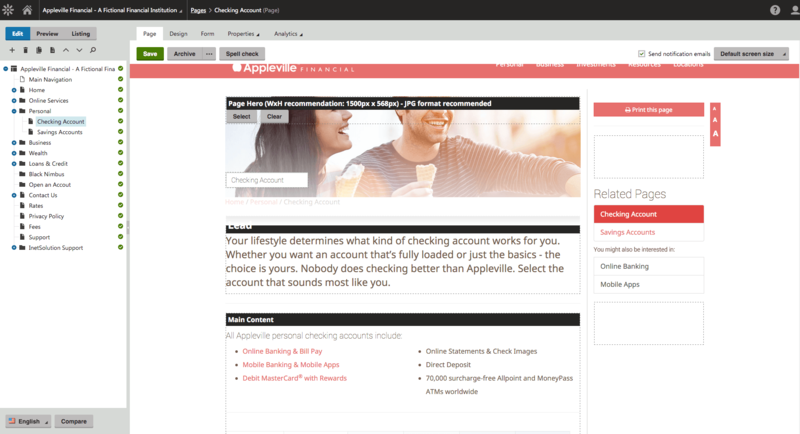 Already have a website but want to add secure forms for account opening, loan applications, and other services? We can do that too. We have designed and programmed hundreds of high security, user friendly forms for financial institutions. Using responsive design, your forms will be mobile friendly, too. Our Secure Online Form system allows you to view, manage, and purge submissions. You can even setup auto-purging to protect your member's privacy and keep your database storage in check. And of course, all views and deletions are audit logged. Our system will let you know if a submission has even been viewed. You may also configure submissions to go to certain users based on criteria you specify. Optionally, submissions could be formatted to be easily imported into Loan Origination Systems. Finally, we can program your forms to integrate with Google Analytics to track advertising campaigns through conversion so that you can see which campaigns, keywords, on-site ads, and third-party websites produced the results you're seeking. We also power nearly 50% of the corporate credit unions in the United States. The included classified ads system allows visitors to buy and sell cars, boats, homes and other items that will increase loan volume through your online loan applications. 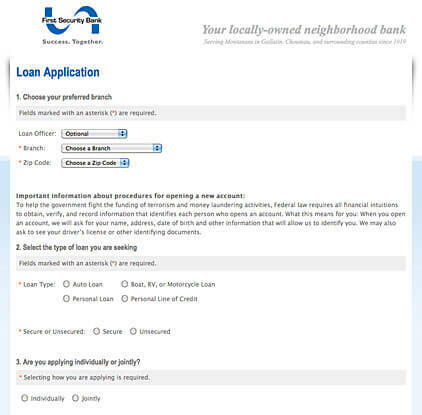 Did a particular ad spark a large number of loan applications? Is an important page not being visited? You'll have the raw data to make smart decisions for your website. From mortgage payments to getting out of debt. We offer over 100 financial calculators to choose from that can be completely integrated into your website. Because we develop your website, deployment and maintenance is hassle free. We also offer secure e-mail hosting – with support for mobile devices. A discounted subscription to Delivered Secure file transfer allows your staff to securely share documents with members, business partners, board members, lawyers and more. The only people developing and hosting your website (along with your sensitive database) are InetSolution employees you can trust – located in the USA.